Applicant must reside within the County of Hudson. 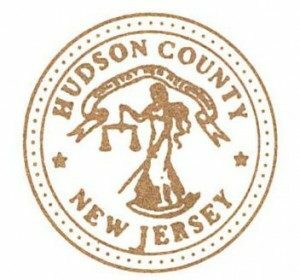 Applicant must appear in person at the Hudson County Clerk’s Office, Division of Public Records. Minor applicant (14-16 years old) must appear with a parent. Render cash or money order payment. A valid birth certificate with a raised seal and file date. Residents whose last names differ from the name on their birth certificate as the result of marriage must also present a Certified Copy of their Marriage Certificate with a raised seal. OR an Unexpired U.S. Passport or a Naturalization Certificate. Non-Naturalized residents must present a valid Resident Alien Card. *Mail must be addressed to applicant and be postmarked no more than 3 months prior to application date. P.O. Box addresses not accepted. An example of applicant’s legal signature, such as it appears on a driver’s license.